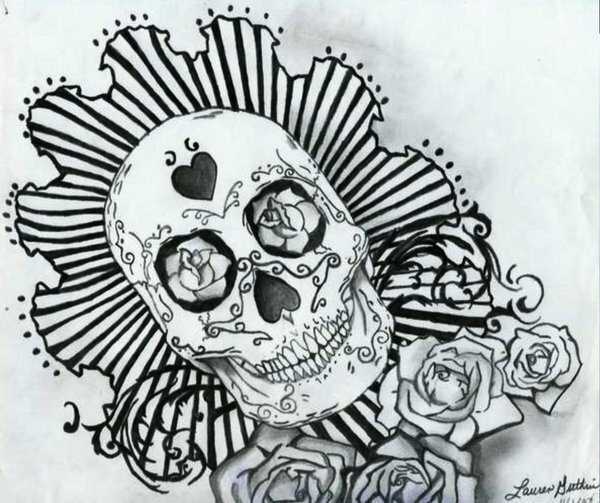 Dia De Los Muertos. . Wallpaper and background images in the Drawing club tagged: drawing. I absolutely love this! I wish the roses weren't cut off. But this is amazing!